Need a Part-Time Job During the School Year? Are you worried you won’t have enough money to have fun while you’re on campus this fall? If your parents have finally gotten sick of you asking them for money, you might consider getting a part-time job on campus. I know, I know, being a student is a full-time job, but how else are you supposed to keep up with the latest trends and enjoy a cup of Starbucks every few days? Especially without racking up more debt than you may already have from student loans? Earning a little extra cash during the school year not only helps you financially, but as reported by Student Employment Services at Purdue University, working 8-12 hours per week may actually help in academic performance and student retention. Probably because working students learn better time management skills. Start here for specific student employment options. Purdue University’s Student Employment website is a comprehensive job posting website with on and off campus opportunities. This site is especially helpful if you need to search specifically for a work-study position. Are you looking for other employment opportunities on campus? Check out the different employment websites listed below. Other options for employment near campus include the bookstores (either Follett’s or University Bookstore.) Also, there are plenty of restaurants and stores around campus that hire students. Just walking down the Chauncey Hill or the Levee opens more options for employment. There are plenty of restaurants there and a few shops that hire students. Make sure you get there early though; they often have to wait and see if their regular employees will be returning in the fall, so it’s good to get your name and face in their brains. Can’t find anything there? If you are looking through alternative resources to search for jobs online BE CAREFUL! Some online job postings sites may not screen their job postings and it could lead to a scam. You can research the company’s track record and see if any complaints have been made through BBB. A safer option would be visiting a particular company’s website to see if they are hiring or you could even call or stop by and ask for an application. Both West Lafayette and Lafayette have companies that hire part-time workers, and most of them are often hiring. If your job search isn’t going as well as you would like, don’t give up! Maybe you could work at Starbucks instead of that little coffee shop on Chauncey. If you have a close friend who works somewhere, ask if they can get you an “in” and have them tell their boss how great you are. With August closing in and the new year of leases starting soon, it’s time to start prepping for your new place. Whether it’s in the Purdue housing or an off-campus apartment, you most likely need to buy a few things. 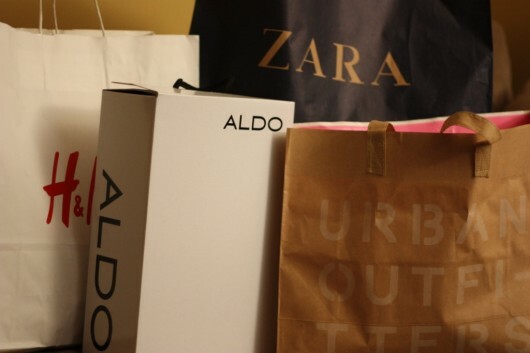 It’s easy to create a huge dent in your summer savings if you buy everything at full retail price. So, buy used! I’ve always been able to easily find furniture under $50 a piece every year I’ve been at Purdue. I’ve even gotten some stuff for free. Where, you ask? PROS: It’s a one-stop-shop for small items like cooking utensils, dining ware and picture frames at a reasonable price. CONS: If you’re looking for something very specific, they can be hit or miss. Furniture and other large items are in slim choice at Goodwill. PROS: Extremely cheap prices. I’ve found many household items for less than $5 at garage sales. Furniture can be harder to find, but when you do, it’s very cheap. In addition, you can haggle with the owner for a lower price. I rarely have someone turn down a lower offer. CONS: Again, if you are looking for a very specific item, you might have trouble finding it. You also might have to drive all around town hitting up different sales to get everything you need, and we all know gas isn’t cheap. WHERE: Check out Tippecanoe Craigslist, Yard Sale Search, or pick up a Journal and Courier on Friday or Saturday morning for the classifieds. There’s a special kind of Senior Week here at Purdue. As graduating students move to full-time jobs in distant cities, there are countless free scores waiting by every dumpster, trash can, and curb side in West Lafayette. PROS: Well for one, it’s free. But don’t worry; you won’t have to jump inside a dumpster. Many considerate movers will leave their perfectly useable unwanted furniture and appliances in a clean spot beside the dumpster. CONS: Hey, if you’re willing to jump into a dumpster to dig deeper, I’m not stopping you. 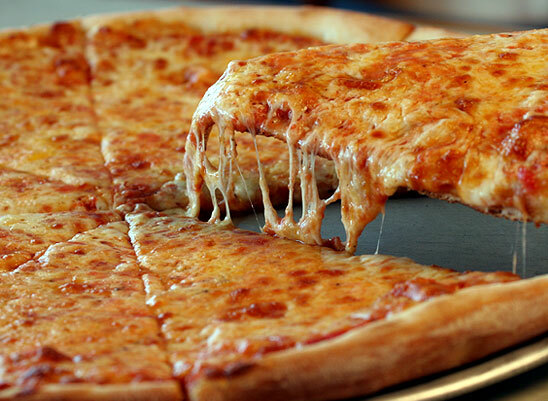 You just might get a little messy. WHERE: Take a stroll or car ride around the student neighborhoods and see what you can find. Large apartment complexes will be overflowing with treasures. PROS: You can shop in your pajamas at home and the seller might even deliver the goods to you. Performing a quick search through the listings is the fastest and easiest way to find a very particular item for cheap. Remember to haggle down the price! WHERE: The Lafayette/West Lafayette Tippecanoe Craigslist. Ever wonder where all those abandoned bikes from campus go? They get shipped off to the Purdue Warehouse & Surplus Store in Lafayette! They specialize in old furniture from Purdue buildings, bikes, computers and monitors, and student lost-and-found stuff. PROS: The prices are extremely cheap. I’ve gotten an exercise bike for $10 and a coffee table for $5 from the warehouse in the past. CONS: The Purdue Warehouse & Surplus Store has odd operating hours – Mon-Fri 12PM-4PM. So if you’re only free on weekends, this option is out. You also might be purchasing something you once owned. PROS: Bids on small household items are typically auctioned off by the box-full. Larger items like furniture are bid on individually, usually under $50, as long as it is not an antique. CONS: Auctions can take up an entire afternoon if the item you want is at the end of the bidding schedule. Many auctions have expensive antiques for sale, making them useless for our purposes. WHERE: Search online for auctions in the Greater Lafayette area or check the Journal and Courier classifieds section. 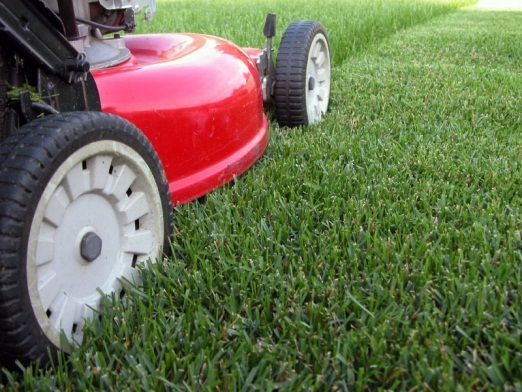 It may seem tedious to think through every avenue to save some money on household items. But if you were to save even $100, you’ve paid for at least one textbook. Don’t Forget Your Student Discount! Amazon: Joining Amazon Student gets you free two-day shipping for six months and exclusive email offers. The only drawback is after the six months, you will be automatically upgraded to Amazon Prime. BUT, you will receive it at the discounted student price of $39/year instead of $79/year it is now and the reduced price can be used for up to 4 years. AT&T: Purdue students and employees can get 20% off standard voice and data plans! 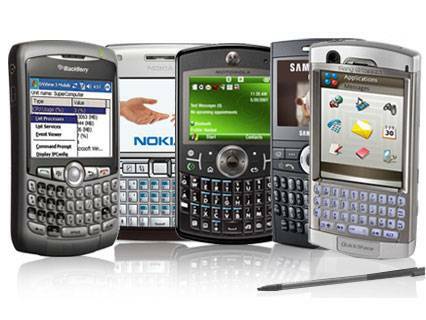 This includes the latest iPhone 4, other smart phones, regular cell phones, and Laptop Connect. Already have AT&T? You’re still eligible too! They’ll attach the discount to your existing plan and it can even extend to your family plan if you’re the primary user on the FamilyTalk account. Go here for more details. Apple: If you buy a Mac or an iPad from the Apple Online Store for Education or the Apple store you’ll receive a $100 gift card for apps for a Mac and $50 gift card for apps for an iPad. Click here for more details on their current deal. Can’t afford to buy a Mac or iPad now but need a new one for the school year? You’re in luck! 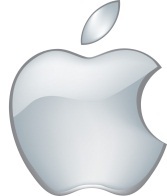 Apple offers a monthly payment plan for students, click here! Need to go grocery shopping? Sam’s Club has a discounted student membership. It’s $40 to start up a membership AND they give you a $15 Sam’s Club gift card! If you love buying in bulk, this is the deal for you. Also, certain Kroger supermarkets (known in the Lafayette area as ‘Payless’) offer 5% off your purchase. Worried about staying healthy through the long Indiana winter? If you don’t have health insurance, or are worried about your health insurance not working all the way out here in Indiana, you’re in luck! Purdue offers its own health insurance plan for students! You can go here to view the details on what insurance plan works best for you. If that doesn’t sound like the right plan for you, you can also go here and enter in your information. The website will come up with cheapest rates that are only for students! I entered in my information, and my plans started at $68.50/month. While all the prices you see for health insurance seem steep, you have to remember that paying ahead of time will help you later in life when it is needed the most. It’s important to support good health in college, and having that reassurance of a health insurance is nice to have if you do get sick. Another avenue student can receive discounts on is car insurance. Most insurers have discount policies in place for students who receive good grades, if you are a student that only drives the parent’s car while on break, and if you drive a small amount of miles with your own car. The best way to find more information about student discount policies is to contact your insurer. –McDonalds: 10% off – ask your local restaurant if they take part. The best tip I found during my search for student discounts? Flash your student ID EVERYWHERE! You never know who will offer a student discount, and it can’t hurt to ask! You’d be surprised how many off-the-wall places you’ll end up saving money at. 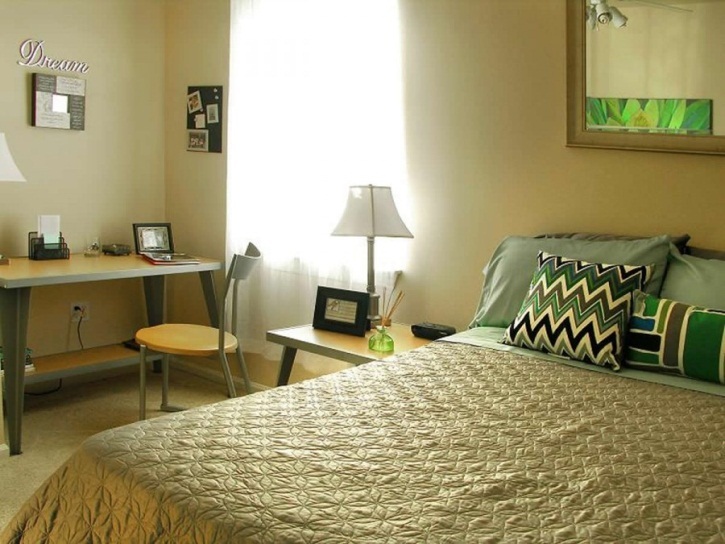 Are you having trouble deciding to live on or off campus? This is one of the most important decisions you will make for the academic year. Where you choose to stay for the year will decide how much loan or aid you will need for the year, but you don’t want to choose your housing based on price. You want to make sure to choose the proper housing for your budget and your lifestyle. Residence halls are typically the first choice for first year students. They are typically on campus and within a short walk to your classes. This means you can sleep in later, and as most college students know, every minute of sleep counts. The dining courts are open periodically throughout the day and having your food prepared saves more time for studying. Before selecting a resident hall, do some further research to find out which one is going to best suited for you. 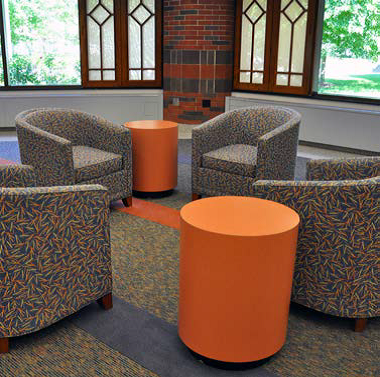 Click here for a closer look at the resident halls on Purdue University’s campus. Renting an apartment or a house can be a wise decision for someone who is looking for a little more responsibility, more personal space, and a chance to keep some cash in their pocket. With the money I save living off campus, I am able to stay year round versus the typical 9 months most students stay. Trust me, not moving my things twice a year is a bonus. I had to make sure I chose the best possible place and with apartments, it is all about location, location, location, and benefits. 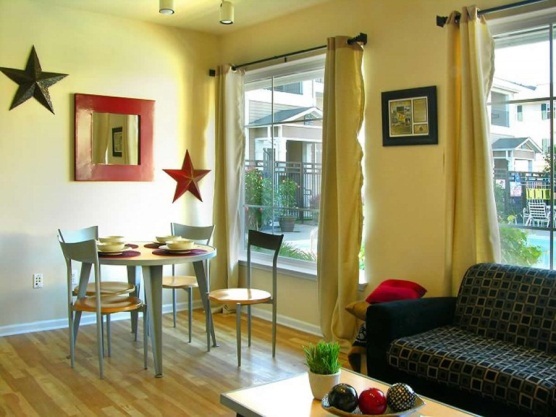 Typically, the farther you go from campus, the more affordable the apartment is going to be. However, if you go too far you might end up paying more in gas and you might have to buy a parking pass. Ensure you’ll make it on time by finding an apartment that offers free transportation or is at least located on the CityBus route. You may not be able to find an apartment that offers 3 meals a day and unlimited soft drinks like the Purdue dining halls, but you can find apartments with swimming pools, gyms, and movie theatres. Before you sign a lease, make a list of benefits you would like to have in an apartment and then visit BoilerApartments to get a closer look at apartment options in the local area. 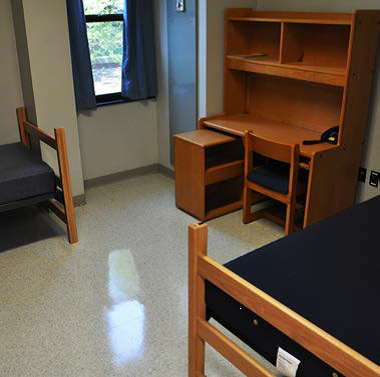 While off campus living gives you more personal space, Residence halls are filled with many other students. Sometimes those students even share the same major as you. This creates an open door for group study. The residence halls give a close network with many possibilities for mentoring and friends. I lived in a residence hall my first year, and I didn’t like the experience of sharing a room with another person. There are many things I had to adjust to while living in the hall. For example: Residence halls only have community showers. Even though the hall came with a lot of trouble, I would do it all again to have the friends I have today. My first friends on campus were people I met just walking around the halls, and these people are still my best friends today. Before you jump to sign a lease, make sure you can make friends and build a network in the off-campus environment. Joining clubs and getting involved in extracurricular activities on campus help everyone develop socially. Before settling on a residence hall or renting somewhere off-campus, determine what is important to you and create a budget for housing and food. Some people will spend their whole time at Purdue in a Residence Halls because living in an apartment is just not for them. Some people will never live on campus because it doesn’t fit in their budget. When you get down to it, you’ll realize that it’s the little things that matter. I personally don’t like to put quarters in my washing machine to turn it on, and I’ve never had to do this off campus. After you calculate how much money you can budget for housing, complete the following housing test by agreeing or disagreeing to the statements. This will help decide which living situation you would feel most comfortable in. I would rather walk to class. I can or will learn to cook. I have transportation to night classes/late exams. I don’t mind sharing a room with a person I have never met. I will be involved in clubs/activities. I would like to have a pet. I will be working throughout the year to pay for my housing. I am comfortable with community showers. I plan on taking summer classes. If you “Agree” with 5 or more of these statements a residence hall may be a good choice for you. If you “Disagree” with 5 or more of these statements an off campus housing solution may be a good choice for you. Should I pay off my loans with the money I made this summer? It’s easy to forget about your student loan debt while you’re still in school. With tests, projects, and a social life to keep up, student loan payments don’t normally make it to the top of the priority list. However, it’s important to be aware of what those loans are really costing you now. Borrowing money now is the easy part. It pays your tuition, your living expenses, and a night or two out with friends and all you had to do was accept it and sign an agreement to pay it back. Those thousands of dollars I borrowed? Sounds like a future problem to me! The real fun comes once you graduate and have to start paying those loans back. So the big questions is: If you have extra money now, maybe money you’ve earned working during the summer, should you start making payments towards your student loans? And the answer is….maybe. Each student’s financial standing is very different, and to understand what would work best for you, you’ll need to have a good understand of where your money is now, what it’s doing, and how much it’s costing you. Time to use some of that eighth grade arithmetic you remember so well! The first step is determining how much you’ve borrowed in student loans and the current interest rates of those loans. Some student loans do not add interest until after you graduate. So while you’re in school, you owe the exact amount you borrowed. However, most loans are not so nice and add interest from the time you borrow them. For example, a loan you borrowed for $2,000 at a 6.8% interest rate for 4 years will actually add up to over $2,500 once you graduate. Your lender, whether it is the Department of Education or a private company, will send you statements periodically listing the accrued interest, principal, and total balance. Hang onto these statements! Not only does it tell you what your current balance and accrued interest is, but it also has information about repayment options. The reason loan interest rates are important to know is because you will need to decide the best use of your extra money today. 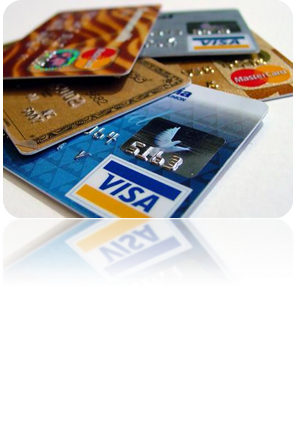 Consider any credit card debt or any other financed item you are still paying off (car, laptop, etc.) For instance, you might have a balance on your credit card, which is charging you 17% interest each month. 17% is a lot more costly than a 6.8% interest rate, so paying the credit card balance should be a higher priority now. Will I need this money in the future? You have to also consider your future costs and spending. If loans are offered to you at a higher interest rate in the fall semester than in past semesters, you won’t want to pay off old loans at a lower interest rate, just to borrow at the new, higher interest rate. Instead, pocket that earned money and use that to pay your tuition and living costs directly. Or maybe Grandma decided to let you borrow money for next year at a 2% interest rate. Since your old loans are costing you 6.8%, it’s a lot cheaper to hit up Grandma for money next term and use your summer earnings to make payments on that loan from last year. A lot of your peers are in the same place you are, and most are just as new to this concept of loans and interest rates. If you feel uncomfortable or embarrassed talking to older people about this, you might learn a lot from just talking with your friends. At the same token, don’t take anyone’s word as gospel and do your homework (no pun intended) before making your decision. Regardless of how you choose to spend and save your money now, those future student loans bills will come, and they will find you. Making wise decisions now might save your future self a lot of stress induced head-banging.